This is Blog 2 of 5 on Zerto Replication. This blog will cover pairing 2 different sites as well as installing the Zerto Virtual Replication Appliance (VRA). This is needed for replicating VMs from one site to the other. I would like to point out one of the cool features of Zerto, the VMware Plugin for the vSphere client. You can access Zerto without having to login through a Web Browser by selecting the Zerto Tab. It is installed automatically after ZVM has been deployed. 4. You will get a Green Check once it is complete. Then you will be able to see the DR site in the “Sites” tab as well as the “Topology” Tab. 1. To begin replication you need to install a VRA at both sites. 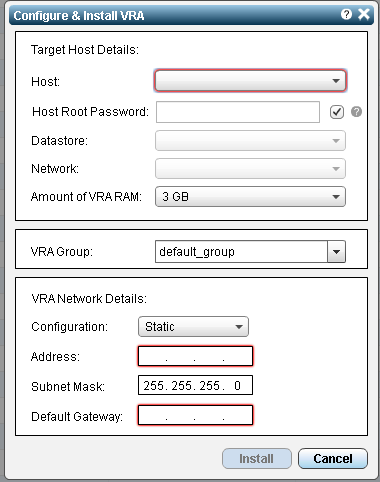 Select you ESXi host and then go to the “VRAs” tab and select “actions” and then “Install”. 3. The VRA will initialize. The ZVM will deploy a virtual appliance with the settings you put in. Once the VRA is initialized you are finished. The next blog will cover Virtual Protection Groups (VPG), which is the last step for setting up recovery with Zerto.